﻿Glen Cove, NY--Hersh Fine Art, of the Long Island Academy of Fine Art, is pleased to present a group exhibition of drawings and paintings by Cornelia Hernes, Stephen Bauman, and Steve Forster. The exhibition will be on view from September 10 to October 6, 2016. The artists will be present for an opening reception on Saturday, September 10, from 6pm to 9pm, which includes a live painting and drawing demonstration from 4pm to 7pm. The exhibition and demonstration are free and open to the public. 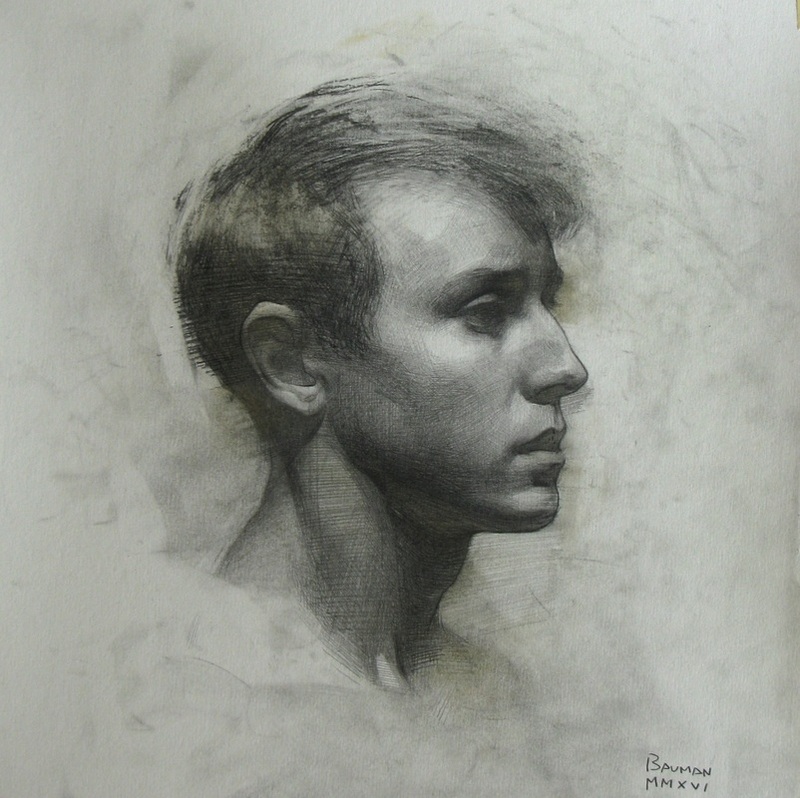 Hernes and Bauman currently reside in Jersey City, NJ as principal instructors at the Jersey City branch of the Florence Academy of Art. Forster, a resident of Glen Cove, is director of the Long Island Academy of Fine Art, where he also teaches. The collaborative work of Steve Forster and Stephen Bauman merge the talents of two painters with similar backgrounds, but with different artistic visions. These collaborations recreate beloved Long Island landscapes, such as Cedarmere in Roslyn and Morgan Park in Glen Cove, bringing to them the creative friction that comes from the visual interplay of two different artists’ interpretations, and the textures of two different artists’ hands. These pictures, described by the artists as “abstract realism,” are like jazz improvisation; they bring out previously untapped qualities in each artist as one answers the other in the same painting. Together Bauman and Forster reach the height of sensitivity to atmosphere, light and color, transcending the subject matter. Stephen Bauman's portraits center on the emotional inner life of his subjects. Through his mastery of drawing media, he aims to capture the human spirit as it passes from one experience to another. The drawings are an homage to the craft itself, offering an observable dialog between the artist’s mind and hand as we see clearly defined planar shifts, cross-hatching, and erasure marks. Cornelia Hernes, born and raised in Norway, spent most of her formative teen years in Africa. This exposure to a variety of vastly different cultural norms has given her a respect for and celebration of life and individual personhood that she brings to her portraiture. Her drawings and paintings are rarely simply the rendering of a model. One can often detect layered meanings, such as in the painting Scarlet Ribbon. A young woman with unrestrained red hair is in jarring contrast with a green background. Her expression is determined, almost fierce, which seems to be at odds with the tender heart-shaped pendant and girlishly disheveled scarlet ribbon in her hair. It may call to mind someone who will defy expectations placed upon them, or perhaps, that a woman is not defined by her emotions and beauty alone. This exhibition will run from September 10 through October 6, 2016, with a gallery reception on September 10 from 6-9pm. For details please refer to www.hershfineart.com or contact Rebecca Forster at 516-590-4324 or info@liafa.com.